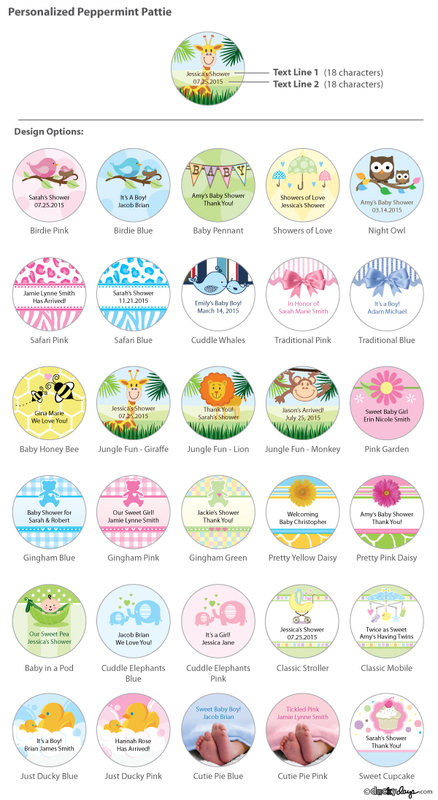 Our Baby Shower Personalized York Peppermint Patties are a deliciously cool, and refreshingly SWEET Edible Baby Shower Favor! Nothing is more delicious than the soothing sensation of peppermint drenched in decadent dark chocolate. 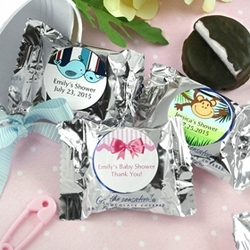 These Baby Shower Peppermint Patties are a perfectly sized yummy treat that can be personalized just for your Baby Shower celebration! Each individually silver wrapped Baby Shower YORK Peppermint Pattie (2.5"w X 1.75"h) arrives labeled with your very own personalized design.